I wrote this post a few weeks ago, then held off on posting it because not long after I wrote it, I read a few other very similar posts, plus a similar article on Active.com. I didn’t want to look copycatish (I like to invent words), so I kept it in the draft folder. And now that my iPhone has died and won’t be replaced until the weekend (the joys of living in the boonies), I’m posting about my favorite apps. I’m also teaching about irony this week, so that makes it even more fitting, right? I discovered this app just a few weeks ago via #Runchat on Twitter, and I really like it. 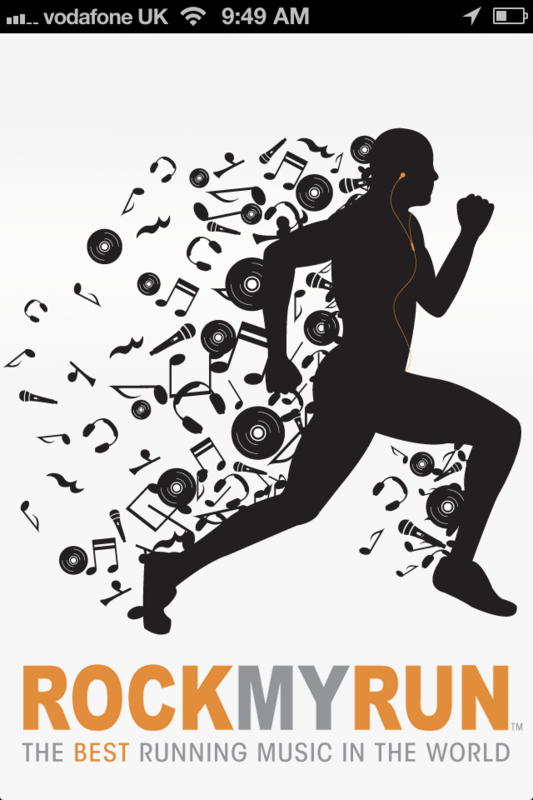 It’s got DJ-mixed playlists for basically any mood and any pace. It’s like a party on the treadmill. (I don’t listen to music outside). The shorter mixes are usually available for free; longer mixes are available with a premium account, which I don’t have, because I’m too cheap to cough up the (reasonable) $2.99 a month. This one’s pretty obvious, since it’s one of the most popular health apps out there, but it’s a great one and still worth mentioning. Obviously, Lose It!’s primary job is to count calories, so if that’s not your thing, maybe this isn’t your app, either. I like to count calories every so often just to see where I’m at, especially when I’m increasing mileage (to make sure I’m fueling adequately). This app helped me realize that I tend to eat fewer than half my daily calories before dinner. Whoops. That needs worked on, for sure. Lose It! also calculates your percentages of calories from carbs, fat, and protein. I used it a lot after I read The New Rules of Marathon and Half-Marathon Training, because it was a lot easier to have it calculate carbs (I was trying to eat more of them, not fewer) than to do it myself. Core work is really important for runners, and I try to incorporate it after most of my runs. This app makes it super easy to do a complete core workout in whatever time and with whatever equipment I have handy. The app has a library of exercises, with step-by-step instructions and pictures so you can be sure to do them right, so you can put together your own workout. It also has pre-designed workouts, divided by difficulty and equipment needed (I usually just do bodyweight), so you can grab one of those and crank out some ab work without a ton of planning. I started using this one a couple of months ago, as Heather uses TrainingPeaks for her coaching plans. I really like it and will keep using it after this training plan is finished. It syncs with the TrainingPeaks website, so with just a tap or two, you can view or record your workouts. I like the layout and the ease of use. A daily inspirational running quote? Yes please. I scheduled mine to come right before the school day starts, which means on weekends, it comes right around when I’m starting my long run. It’s a nice little moment of happiness and motivation. I like all these apps a lot, but I’m constantly on the lookout for more. What are your favorite health and fitness apps? I will have to check out the yoga app since i am all into yoga now. I use an interval timer called seconds free for working out, I had a yoga app at one point but didn’t like it so I deleted it. Hope you get your new phone soon! I’ll have to check out that interval timer…I’m not crazy about the one I use now. I am going to have to check out the yoga app. I need to incorporate more stretching. I never, ever stretch and when I accidentally do, it feels so good. I also eat half of my daily calories for dinner. It’s so hard to eat enough during the teaching day! I bring a snack every day (apparently too small of one), and it sometimes takes me three hours to eat it. Thanks Cassie, great advice! I would also recommend FitFriend. It is a relatively new app, but has lots of great software and is fun for runners who like to take pictures. It also links with daily mile! Thanks for the other ideas. I will definitely check them out….just maybe not the lose it app….I may waste away haha! 80 miles a week burns a lot of calories! Thanks so much for sharing! Since I got my iPhone in December I haven’t even looked into fitness apps – I totally should! You’ll get addicted to them! I don’t have an Iphone but have heard good things about TrainingPeaks. I just might have to look into it and see if uncool non-Iphone people like me can get it.